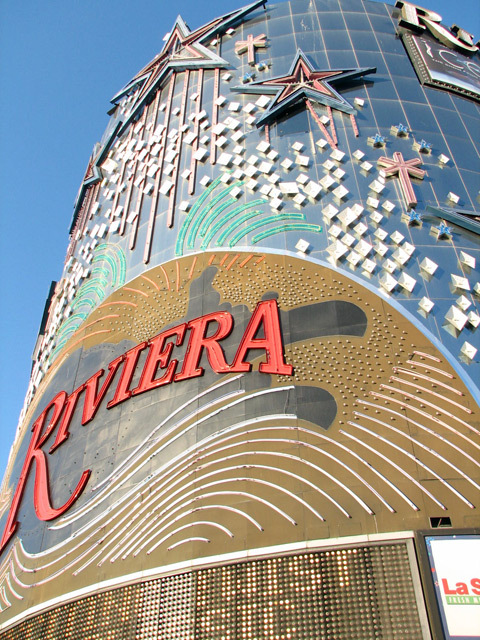 A daylight shot of the truly awesome marquee at the Riviera. You can still see the space where "SPLASH!" was replaced by RIVIERA after the show closed. Great detail in the lighting.